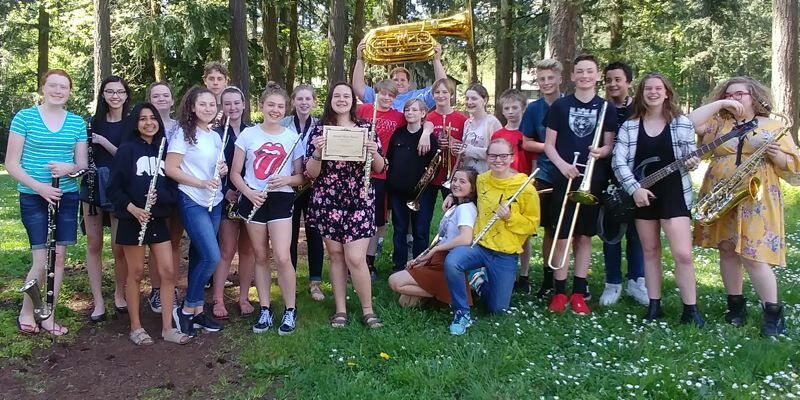 The Kraxberger Advanced Band took second place out of 13 middle schools at the Baker Prairie Band Festival on April 24 with ratings of "Superior" from each judge. They missed first place by just one point. "The students organized multiple rehearsals outside of school and rehearsed diligently everyday to be get to this level," said band director Seth Arnold. "I couldn't be more proud!